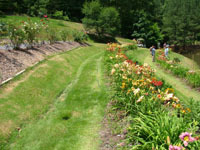 The garden is situated in the middle of a 160 acre forested Hollow uncut since the 1940's that abounds with native shrubs and wild flowers like the Wild Azalea, Hearts a Bursting Euonymus, Ashy Hydrangea, Dwarf American Buckeye, ten native fern varieties, pink lady slippers, and many other Spring and Summer Wildflower species. 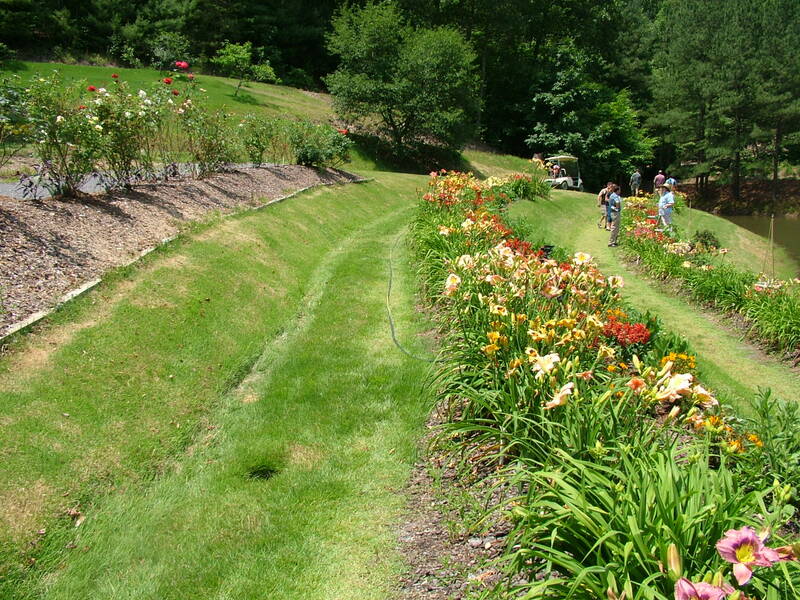 Thousands of linear feet of terraced flower beds surround a two acre spring-fed lake. Annuals are displayed in the beds as well as hanging baskets and planters. Other trails lead into a Native Fern area, a Hosta display, a nature trail along the half mile creek where wildflowers abound in the Spring, a wetland area with many bog species, and finally through a native azalea habitat where hundreds of white to pink wild azaleas bloom in the Spring. Gentle trails through the Gardens and forest let visitors do as much or as little walking as they wish. 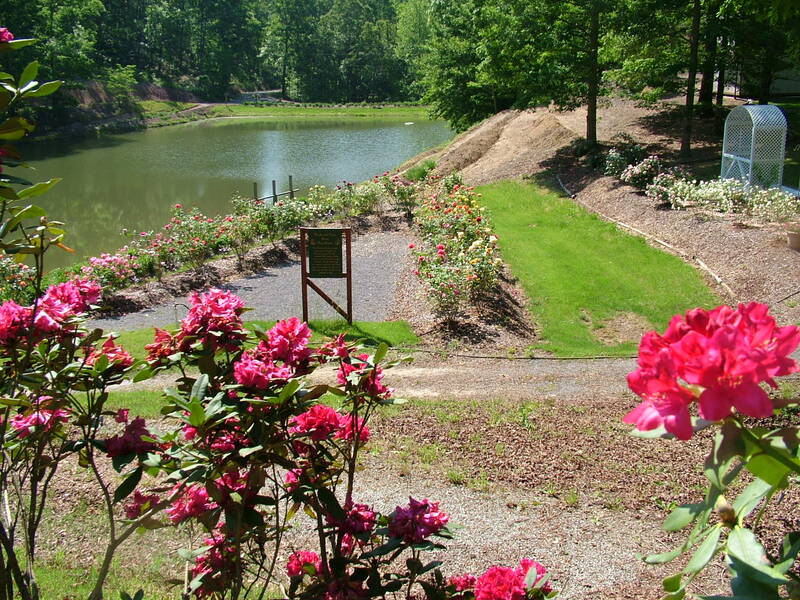 Much of the Shade Gardens and some of the Sun Gardens can be seen from the Event Center were you can enjoy lunch & homemade ice cream and sit in the shade while conversing with friends and enjoying the ambiance of the Gardens. 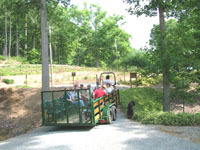 Groups of ten of more can arrange a guided Wagon tour of the Gardens. 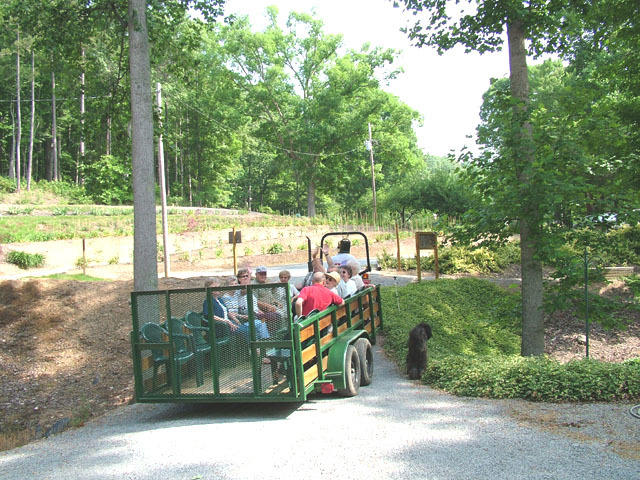 They will see much of the Gardens and learn about its history and development from atop one of our specially designed sixteen foot tractor pulled wagons. 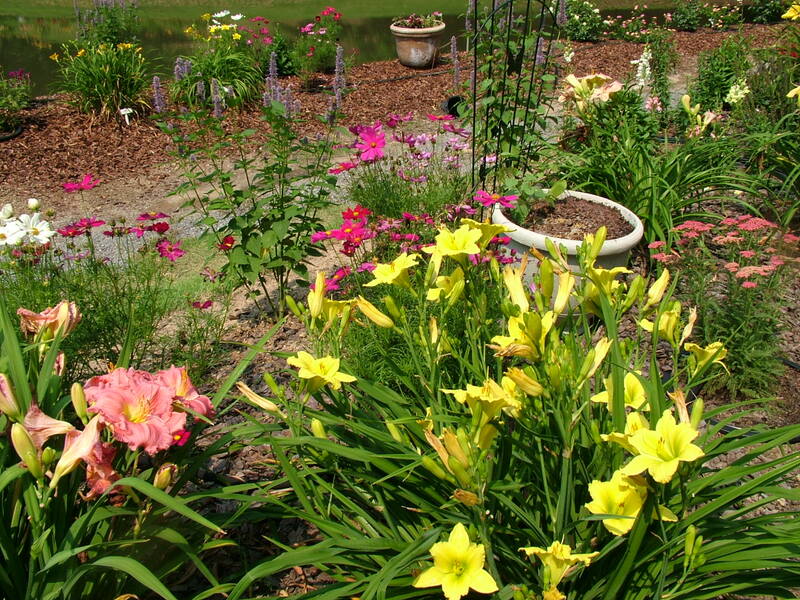 Hundreds of varieties of potted daylilies and Hosta are available at the Sunshine Hollow Nursery. The visitor can also shop the Sunshine Hollow Gift Shop for Tennessee Treats such as Jams & Jellies, Sorghum, and Pecan Fruitcake. 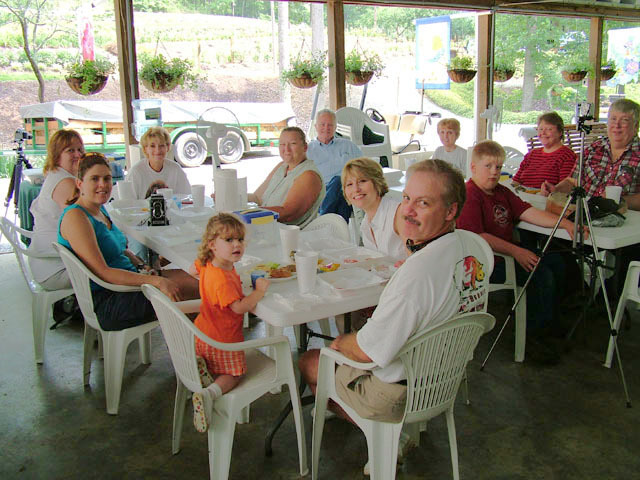 Bring your family or reserve a visit with your group. 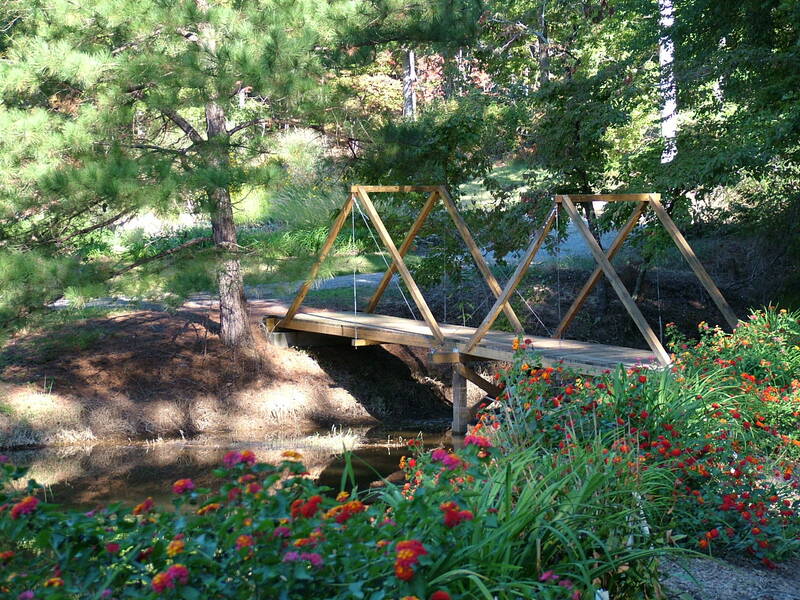 Sunshine Hollow was picked in 2005 by National Geographic as one of the best places to visit in Tennessee. Version: f, Copyright 2003-2012. Page generated 10:37 EDT; Saturday, April 20, 2019.